A slice combines the cap and stem of the mushroom. Some customers say mushrooms slices, but actually they mean mushrooms pns. Usually, if the percentage of slices is more than 30%, we call it slices, otherwise, it's pieces and stems. 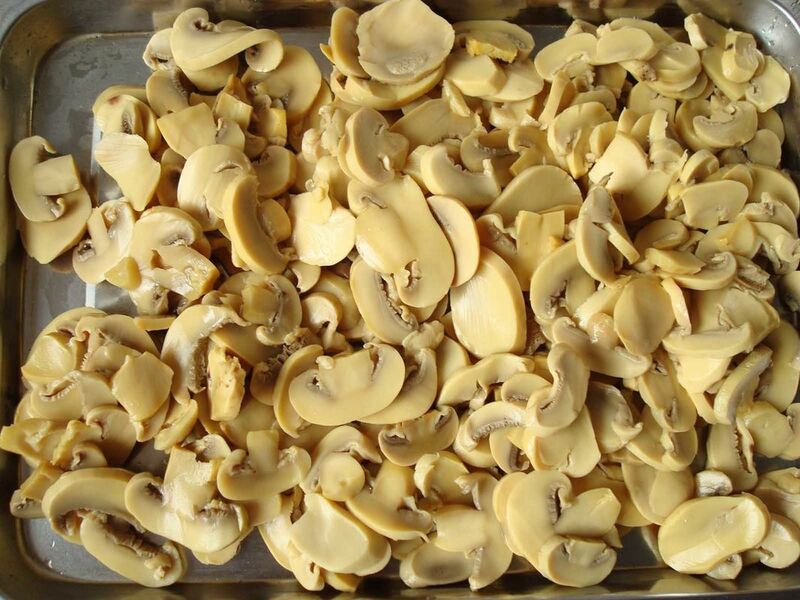 Mushroom slices have better shape and more uniform, the prices are higher accordingly. MOQ 1X20FCL or mixed container accepted.